We’d love your help. Let us know what’s wrong with this preview of Born to Win by Zig Ziglar. 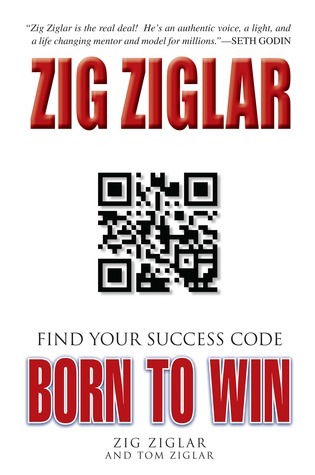 Zig Ziglar’s Born to Win: Find Your Success Code, compresses four decades of life-changing tools and practices into one inspiring, easy-to-use format for people who want to grow and improve the whole spectrum of their lives now! Zig has always taught that “You were born to win, but to be the winner you were born to be you must plan to win and prepare to win. 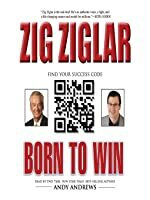 Then and only Zig Ziglar’s Born to Win: Find Your Success Code, compresses four decades of life-changing tools and practices into one inspiring, easy-to-use format for people who want to grow and improve the whole spectrum of their lives now! Zig has always taught that “You were born to win, but to be the winner you were born to be you must plan to win and prepare to win. Then and only then can you legitimately expect to win.” Born to Win guides readers through this plan-prepare-expect strategy. You will learn that when you have the hope that things can change, and a plan to make that change possible, you can take action. Zig Ziglar’s whole-person, balanced-living approach to life has inspired millions to enjoy good health, a new depth of love and gratitude for family and friends, financial security and independence, and spiritual peace of mind. His instruction on how to live a life that leaves no room for regret or worry is the starting point for a joyful, exciting, vibrant life. It is true that when you have prepared yourself to be the right kind of person, you can do what you need to do to expect success. When you truly understand that you were born to win, you can change the world! To ask other readers questions about Born to Win, please sign up. Whre cn i gt it in namibia tsumeb? A List of Every Self Help Book Ever! A fantastic book that is the perfect compliment to "See You at the Top". Zig is writing after a lifetime of success. He is now in his 80's as he opens the book and shares the cream of the crop in regards to his ideas. I've used Zig's goal-setting process to achieve many things in my life, including career goals, educational goals (currently completing a Ph.D.), and managing my life's "Wheel" (seen in the book). In a sea of books on personal growth, Zig's are the best. Standing with men like Jim A fantastic book that is the perfect compliment to "See You at the Top". Zig is writing after a lifetime of success. He is now in his 80's as he opens the book and shares the cream of the crop in regards to his ideas. I've used Zig's goal-setting process to achieve many things in my life, including career goals, educational goals (currently completing a Ph.D.), and managing my life's "Wheel" (seen in the book). In a sea of books on personal growth, Zig's are the best. Standing with men like Jim Rohn and Earl Nightengale, Zig's book incorporates the spiritual as well. His son, Tom, writes the final chapter of this book and unashamedly shares the gospel and points to it as a reason for his Dad's success. The goal setting process I've mentioned is here. It's amazingly simple but hard to implement because you have to WORK to achieve them. But it WORKS. I've never read any Zig Ziglar books, but I decided to give this one a read since its recommended by Dave Ramsey and I do everything he says. It's a short read that will take you through three parts of success: planning, preparing, expecting. It's kind of what you'd expect from a motivational book...you're awesome, you can do anything you want, help others, etc. There's quite a bit of spiritual talk which, in hindsight, I should of expected, but didn't. Overall I enjoy listening to successful old t I've never read any Zig Ziglar books, but I decided to give this one a read since its recommended by Dave Ramsey and I do everything he says. Although the concepts in this book are great and I have no doubt that Zig Ziglar is a great motivational speaker, his ideas are not for me. After several references about God and how he is the one that truly makes you successful, I couldn't listen to this audio book any longer. It will be on my "did not finish" shelf. I was really surprised at how good this was. I put this right up on my foundational personal development books. I have never read a book that is so simply written but so comprehensive in personal development. It really is a fantastic little book and one I would recommend anyone keep on their bookshelf. Born to Win was a surprisingly good book. I say it was a surprise because the book is filled with self-improvement platitudes. It's nothing you haven't heard before but there is something about Zig Ziglar's delivery that makes it better than most of the success books you read. He does a good job framing his lessons and he curates the material so that it's very easily absorbed. He is a highly skilled public speaker and it shines through in the book. There is a reason he is considered one of the best in the genre and I can see why from this book. He has an evangelical style but it isn't off-putting. The book is short but it has good substance. Born to win has some exercises that you can download outside the book and I did and found them to be quite valuable. They were short worksheets that gave you a good amount of insight into your life and self. I recommend doing them if you read the book. The worksheet for business is surprisingly comprehensive and I think it could help anyone who owns a business or runs one. And I have extracted from the book some paragraphs that I like best in order to introduce this good book to the readers. You can read these interesting quotes prior to making a decision to read the whole book....! "Do any of the symptoms on this list sound familiar to you?" "Six reasons to set goals"
Thanks and Wish you and your family health and success. excellent resource! zig ziglar is a treasure! I can't believe this is my first exposure to him but it is nonetheless. After I became a believer I invested in his How To Stay Motivated series as well. you can get anything you want in life, if you'll just help enough other people get what they want. you are where you are and what you are because of what you've put into your mi excellent resource! zig ziglar is a treasure! I can't believe this is my first exposure to him but it is nonetheless. After I became a believer I invested in his How To Stay Motivated series as well. you are where you are and what you are because of what you've put into your mind, and you can change who you are and where you are by changing what goes into your mind. Choosing the input of your mind is choosing the output! There was a great analogy about the foundation of a building, and I don't think Zig meant it this way, but this is the way I took it (because of my own experiences!) - the deeper the foundation is built, the higher the building can go. If you've experienced a lot of pain in your life, the more pain you've experience, the higher you can go! Success is built upon a foundation of positive principles and values like honesty, character, integrity, motivation, and enthusiasm, among others. performance never exceeds self image, either our own or another's. also, peformance is tied to expectation, both for ourselves and for others. there is no good or bad memory, only a trained or an untrained memory. this could probably also be applied to people in general! if anyone has a networking spreadsheet (or app), or if anyone is a journaler, take some time to determine, "what's good about [person]?" or "what do I like about [person]?" also, noting what they want will help you help them get it. obvious, but the palest ink is stronger than the sharpest mind! Andrew Carnegie said, when asked about the 42 millionaires on his staff, "They weren't millionaires when I hired them." And when asked how they became millonaires, he said, "I develop men like you mine for gold. There may be tons of dirt, and earth, and rock in the way, but I'm looking for the gold." Zig recommends everyone write a book, "What I would tell anyone on how to get the most out of life." instead of "paying the price" to reach your goals, enjoy the benefits! gotta have a sense of humor to get the most out of life! never in history has anyone erected a statue of a critic. They don't make them like Zig anymore his son didn't fall to far from the apple tree. The project gives me m They don't make them like Zig anymore his son didn't fall to far from the apple tree. This is NOT the book I read, but I don't see the book I read here on Goodreads. I read Born to Win by Zig Ziglar and Tom Ziglar, 2017. Nothing new but good to review to message every now and then. I know this review will be colored by recent reviews. I was reading this when I heard that Zig Ziglar had passed away. At the beginning he mentions this is his swan song, as he doubted his health would allow him to have the opportunity to write more. Zig introduced me to personal development and motivation and has always been a great source of charm, wit, quotability mixed with good old fashioned down home wisdom. This book is more or less a "best of" and someone looking for something new and radic I know this review will be colored by recent reviews. I was reading this when I heard that Zig Ziglar had passed away. This book is more or less a "best of" and someone looking for something new and radical will be disappointed, but if you have not read Zig before, or are in the mood for the latest (and sadly last) flavor, then you will find some of your favorite stories, analogies, acronyms from Zig updated and polished in a short but emminently readable volume. A splendidly written book by an author/icon that seems to capture and express so much in personal growth and development with the mindset of keeping it all so simple that a child could understand the intended message. This book initially gives the impression of being written for business owners/entrepreneurs but once one dives in, it becomes immediately clear that the compassion that Zig has for his fellow man is evident and that he is wholeheartedly concerned with the good of a person in such a A splendidly written book by an author/icon that seems to capture and express so much in personal growth and development with the mindset of keeping it all so simple that a child could understand the intended message. This book initially gives the impression of being written for business owners/entrepreneurs but once one dives in, it becomes immediately clear that the compassion that Zig has for his fellow man is evident and that he is wholeheartedly concerned with the good of a person in such a long-term view. Let me start by saying I am a 100% Zig Ziglar fan, so by definition, this review will be biased. I’ve read much of Zig’s writing throughout my professional life, listened to him speak, both live and on tapes (yes, cassette tapes) and have both benefited and been entertained in the process. Born to Win is, as Zig, who is 85, says in the opening to the book, perhaps his last book. It is a book that talks about the steps required to move towards your best possible future. In it, he (assisted wonderfu Let me start by saying I am a 100% Zig Ziglar fan, so by definition, this review will be biased. This is truly one of Zig's best! Powerful, concise and to the point. Prepare to Win, Plan to Win and Expect to Win! Zig walks you through each stage and how to put the actions in motion to take you where you want to go in Life, personal and professional. I found it refreshing and motivattional and I am already putting the plans he shares into practice. Great advice and tools in the back to help. One of the better self-help writers in the genre. Ziglar has a unique voice and delivers quickly with his southern accent. The "wheel" strategy is excellent and easy to remember. Ziglar combines together many of his speeches into this book. I will listen to this book again and share it with friends. Self-help and motivational speakers tend to blend together , but Ziglar is definitely one of the solid foundations of the genre. 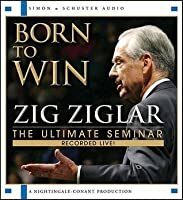 Born to Win is a compilation of all the different teaching tools Zig has provided over the years as a motivational speaker. It is a bang for the buck, if you will. There is a lot of great tools within this book to help you plan your goals and reach them. The information given can be added into your personal as well as business life and it is easy to begin. I have ways heard about Zig Ziglar especially in relation to our business. This is the first book of his that I have read though. It was very well written and includes many of his most important points and lessons. If you haven't read his work, this is a good one to choose. Timeless lessons that are important for everyone to learn and incorporate into their lives. Very good quick read to remind of the importance of what it takes to push ourselves to achieve our potential. Great reminder on effective goal setting strategies, and steps to propel personal and career life forward. My encounter with Zig Ziglar was another step in transforming my mindset forever. I love the materials by Ziglar. They are timeless gems, with so much practical application that you can use in all areas of your life! Fantastic compilation of the knowledge of this great motivational speaker. Plus, Andy Andrews' narration made it even better. Had read in earlier life but great refresher! Should be required reading for everyone...yes, everyone! Update on classic advice from Zig and his son. Their message may be a bit old school, but you won't have to strain hard to find their influence on the likes of Seth Godin and Malcolm Gladwell.